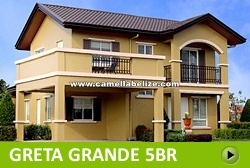 Camella Belize offers a selection of elegant house models that feature modern yet timeless designs. Our houses are built using time-proven conventional materials under strict quality control and supervision. For added satisfaction, you or your representative can visit your house during construction. 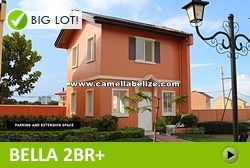 Expect only the best from Camella! Please click any of the houses below to get more information. Greta house model has a minimum lot area of 152 sqm and a house area of 166 sqm. It’s a single attached 2-storey house with five bedrooms, three toilets and baths, a living area, lanai, dining area, kitchen, a family area, a walk-in closet, a main balcony with 2 carports, a balcony for the master's bedroom and a laundry and service area. Freya house model has a minimum lot area of 174 sqm and a house area of 142 sqm. It’s a single attached 2-storey house with five bedrooms, three toilets and baths, a living area, dining area, kitchen, a study area, 2 carports, and a laundry and service area. Cara house model has a minimum lot area of 99 sqm and a house area of 66 sqm plus 13 sqm for the optional balcony area (add P100,000). It’s a single attached house with three bedrooms, two toilets and baths, a living area, dining area, kitchen, a carport, and a laundry and service area. 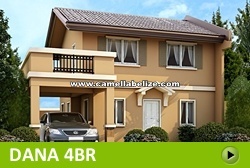 Bella house model has a minimum lot area of 99 sqm and a house area of 53 sqm. It’s a single attached house with 2 bedrooms, 2 toilets and baths, a living area, dining area, kitchen, and a laundry and service area. 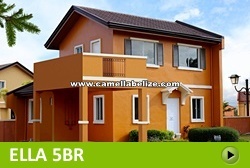 Camella Belize proudly presents the Lessandra L-Series house models that you can get starting at 1.1M. Each house comes with complete flooring and fixtures at an unbeatable price package. Get to live in a secure enclave complete with amenities and great people. 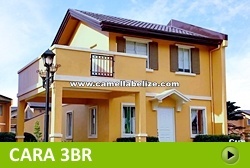 Camella Belize is an exclusive subdivision that's just 15 minutes from Daang Hari via the newly-constructed road in Vista Alabang that will be made accessible to the public this year. Dubbed by many as Daang Principe, the new road is a 5-minute drive that starts at Portofino Amore in Daang Reyna and ends at Molino road. 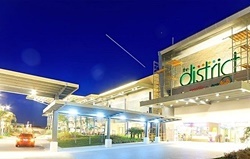 Soon, commercial establishments and schools such as University of the Philippines will be built in the area. 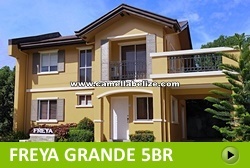 Drive further for 6 minutes and you will reach Camella Belize.